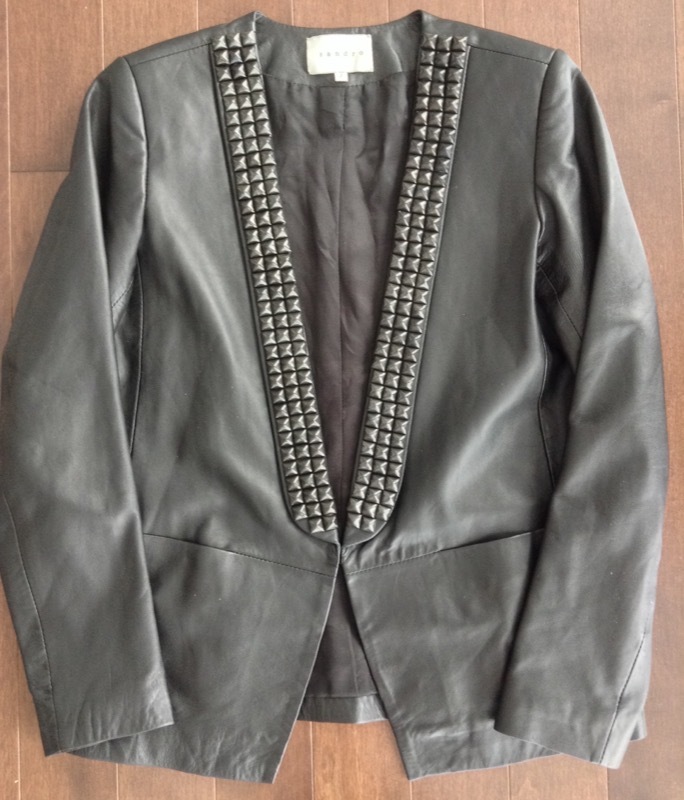 Style DIY: A studded tuxedo leather blazer à la Balmain | Save. Spend. Splurge. 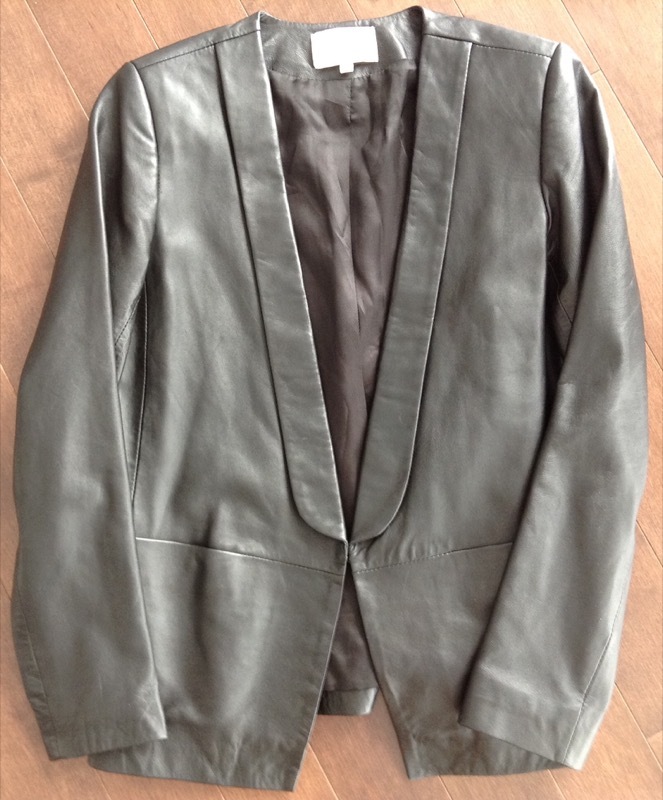 I had this leather tuxedo blazer that no one wanted to buy off me (boo! ), so I decided to keep it but change it a little to make it more interesting. They wear it simply, which is what I plan on doing although my legs are nowhere as skinny. Frankly, I should absolutely be avoiding Balmain at all costs because the brand loves to emphasize a strong shoulder, and I already have naturally strong, wide shoulders. Still…. I’m drawn to their aesthetic like a moth to a flame. Cute, serviceable… but not quite something. It was a heck of a time getting the studs to line up right, and I am super pleased with how it turned out. 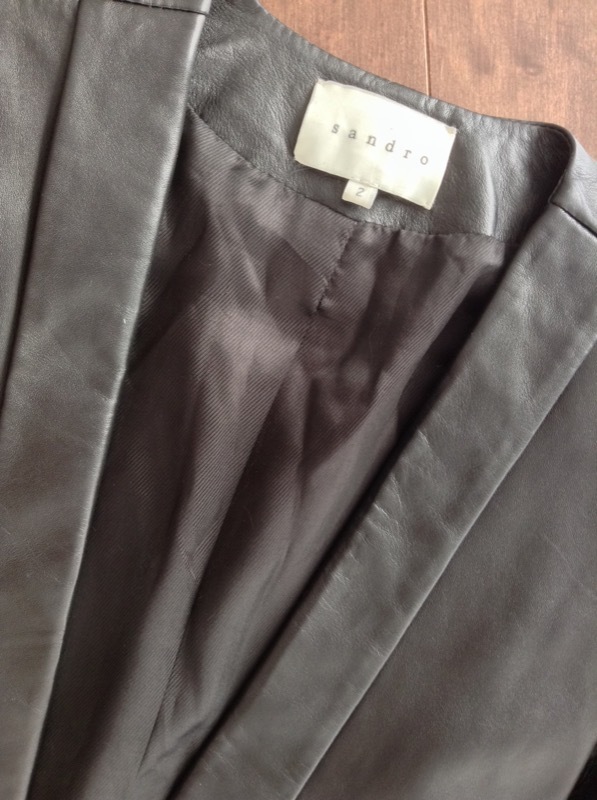 I bought a huge bulk bag of pyramid black studs 1/2″ from Amazon, grabbed my seam ripper and looked at the whole blazer. Then I lined up the studs to see whether it looked straight or wonky, and then pushed it down hard into the leather to make marks in the leather to see where to make the holes, then I used the seam ripper to make holes in it, and then pushed the stud through & bent the prongs down and into the leather underneath. I did this 201 more times, following the outside lapel of the blazer to make it look straight, and lining up each and every stud to make sure it would fit and stick FLAT against the edges of the other studs. I now plan on using the rest of my 800 studs on studding the rest of my serviceably boring items, like my Muubaa moto leather jacket which I love, but needs a little something, taking inspiration this time from Laurence Basse. 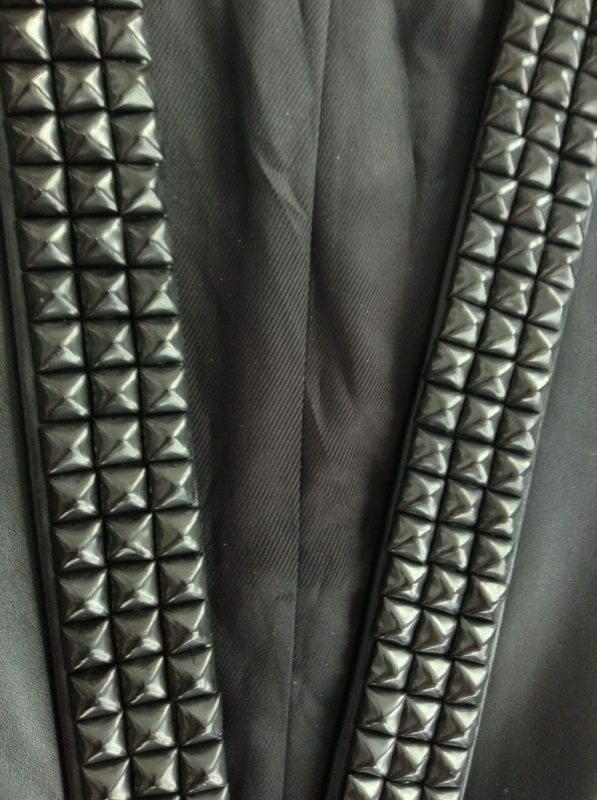 I plan on studding the back like this, but am undecided on the sleeves going through the same treatment. Probably not. I may stud the cuffs instead. I was really nervous, trust me. I love this!!! So much. Your link takes me to the black studs – can you link me to silver ones, or did you use black? I found them. But I really really love the look! Thanks for the idea! They’re a matte oxidized black.